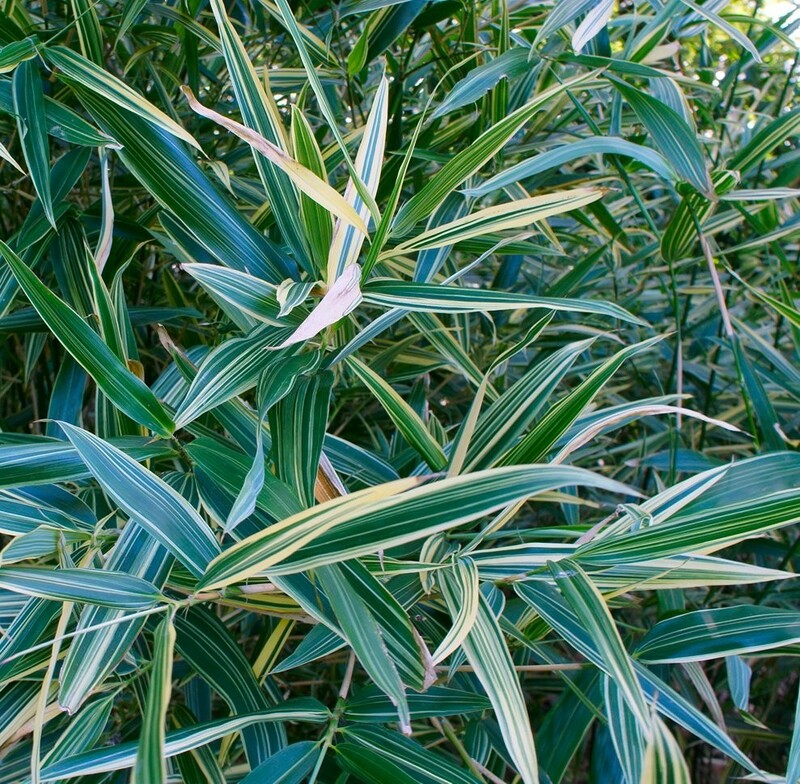 Excellent Sasa bamboo lookalike that's not ridiculously invasive. 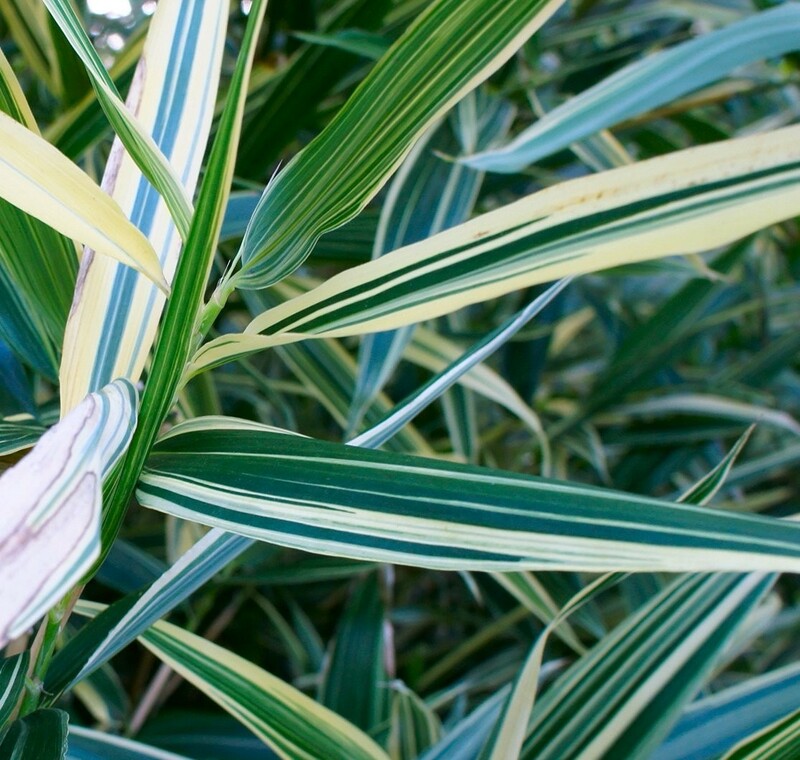 Broad variegated jungly leaves to a height of 2-3m. 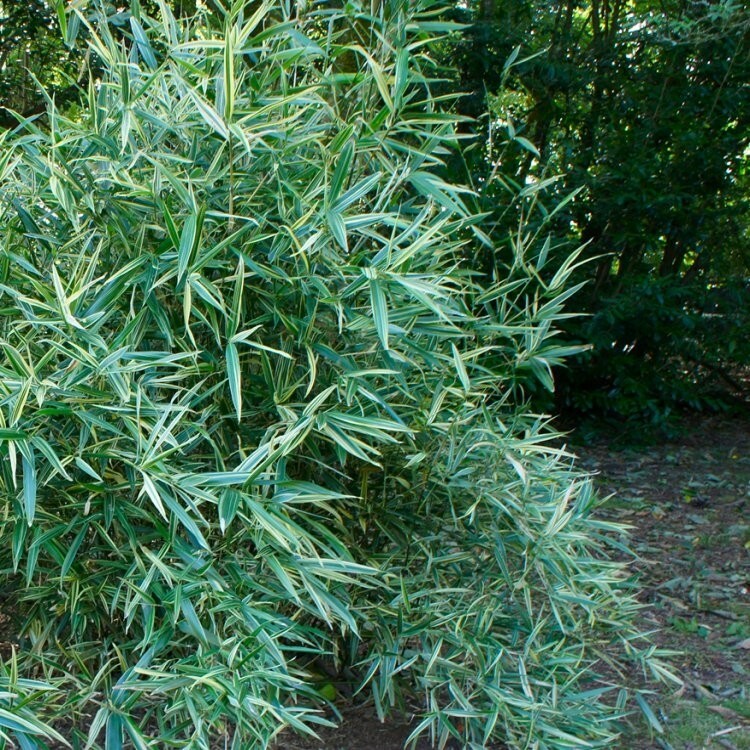 A superb large-leafed bamboo that can be used as a solitary specimen, perhaps in a patio planter, or even planted in a row as an informal screening plant. Supplied in approx 7.5 Litre containers.